Have I mentioned the beautiful views on the way to my sister's house? This one is almost a Montana postcard cliche, but I still like it. 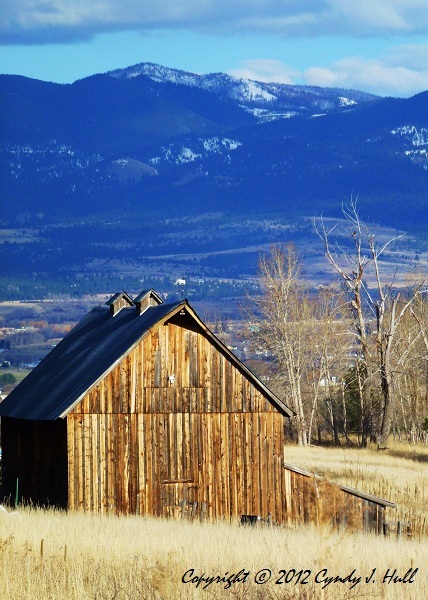 I'm drawn to imagine that the original builder of this barn fastened the last shingle, then proudly looked around the homestead he was carving out, seeing only meadows and mountains - not another house for miles and miles, & barely a town on the valley floor.